Amazon has persuaded more than 100 million shoppers to subscribe to its Prime service that offers free two-day shipping and other perks that help bind people to the company and its ever-expanding empire. CEO Jeff Bezos quantified the size of Amazon's Prime membership for the first time Wednesday in his annual letter to the Seattle company's shareholders. Before Bezos' revelation, analysts had been left to guess how many people had been willing to pay $99 per year for the Prime service, which Amazon launched 13 years ago as a way to foster customer loyalty. The scope of Prime's success stunned even the most optimistic of analysts, such as GBH Insights' Daniel Ives. He had previously estimated Amazon had 92 million Prime subscribers. "It's a mind-boggling number that serves as a key barometer to how big Amazon's kingdom has become," Ives said. Costco has been selling annual memberships to get bargains on goods stocked in its warehouses for decades, and already been outdone by Amazon's Prime service. Costco has 50.4 million memberships that allow 92 million cardholders to shop in its warehouse and website. Amazon still isn't the king of digital subscriptions, though. Netflix has 125 million worldwide subscribers who, on average, pay about $120 annually to watch its video-streaming service, based on numbers the company released with its quarterly earnings earlier this week. Although providing free two-day shipping to Prime orders obviously drives up Amazon's costs, the service so far has proven to be worth the expense. Ives estimates that Prime members typically spend twice as much at Amazon than non-Prime members. The service also helps spur sales of Amazon's internet-connect speaker with its digital assistant, Alexa. The device makes it easier to shop online and gives the company a toehold in homes. Amazon also is leveraging Prime to spur more sales at Whole Foods, the brick-and-mortar supermarket chain that it acquired last year, by offering two-hour delivery of groceries to the service's subscribers. Prime serves as a "competitive moat" that makes it more difficult for other retailers, online and offline, to get people to shop at their stores instead of Amazon, Ives said. "It has become a golden ticket for Amazon," he said. All those factors have helped make give Amazon a market value about $740 billion. Only Apple, at about $900 billion, and Google's corporate parent, at about $745 billion, are currently worth more. 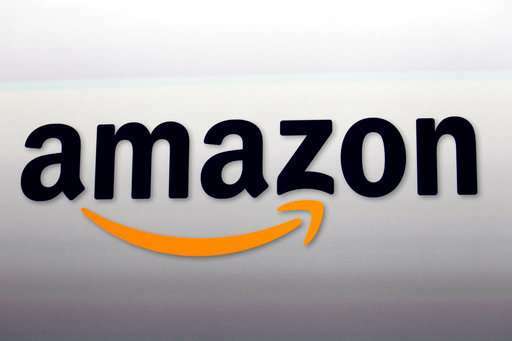 President Donald Trump has recently attacked Amazon as an economic scourge, deriding the company as a tax dodger and an abusive customer of the U.S. Postal Service. That has raised worries the Trump administration might take action that could crimp Amazon's growth, but the growing popularity of the Prime service could make that a politically unpopular move.